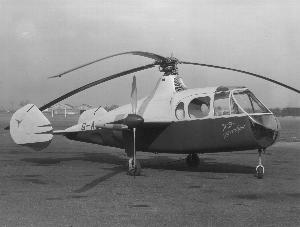 The aircraft was the first British compound, or hybrid, helicopter. It should be noted that 'FB-1' was the early designation of the aircraft (it stood for 'Fairey-Bennett One', after the name of the chief designer, Dr. J.A.J Bennett.) before it was renamed as the Gyrodyne ('gyratory aerodyne'). 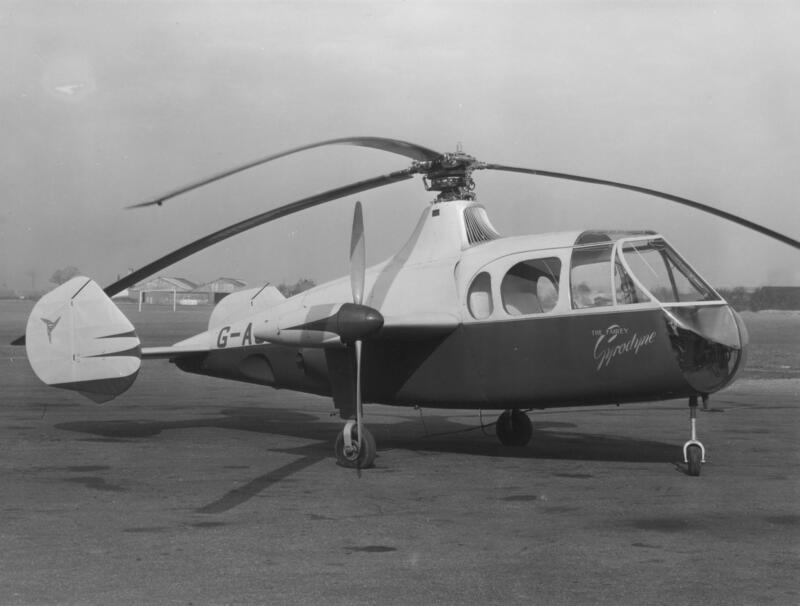 It was a private venture development by the Fairey company to develop a hover capable rotorcraft that was efficient in forward flight. The underlying design principle was to combine the anti-torque device with a forward thrust producing propeller. The aircraft was configured for 4/5 seats and 2 pilots. The combined anti-torque control/forward propulsion propeller (2 blades/7ft in diameter) was mounted on the starboard wing (note: the combined function of the propeller is why the no. of control devices is set to zero - see the Glossary for further explanation). The aircraft also embodied some novel control simplifications with no direct collective pitch contol. Collective pitch changed automatically, related to the power being applied (effected automatically by pitch/lag coupling). The swashplate for cyclic pitch was also eliminated. This was achieved by tilting the rotor head. Stick shake was also removed by using irreversible hydraulic jacks to tilt the rotor head. The first protoype (G-AIKF) was destroyed in an accident on 17 April 1949 at Ufton Nervet in Berkshire, UK, killing Chief Test Pilot F.H. Dixon and his observer D. Galloway. 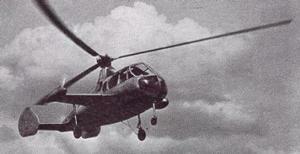 The second prototype (G-AJJP) was subsequently modified to become the Jet Gyrodyne. Resources related to the Gyrodyne (FB-1), provided by the Vertical Flight Society. Resources related to the Gyrodyne (FB-1), provided by public sources across the internet.